Appling, Bulloch, Candler, Coffee, Jeff Davis and Ware County Health Departments were awarded the 2019 Car Seat Mini-Grant by the Georgia Department of Public Health, Injury Prevention Program. Through the Mini-Grant, these counties will provide car seats and education to financially eligible families in their local surrounding counties. This program is funded by the Governor’s Office of Highway Safety to help ensure Georgia’s children are safe while riding in motor vehicles. 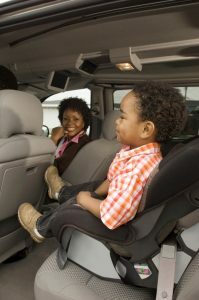 These programs help families get their children buckled up right, every trip, every time. For more information about Southeast Health District’s car seat program, please contact your local County Health Department at 855-473-4374 or visit our website at www.sehdph.org. If you would like information regarding other counties involved in the program, please contact the Georgia Department of Public Health’s Child Occupant Safety Project via email at injury@dph.ga.gov or by calling 404-463-1487.